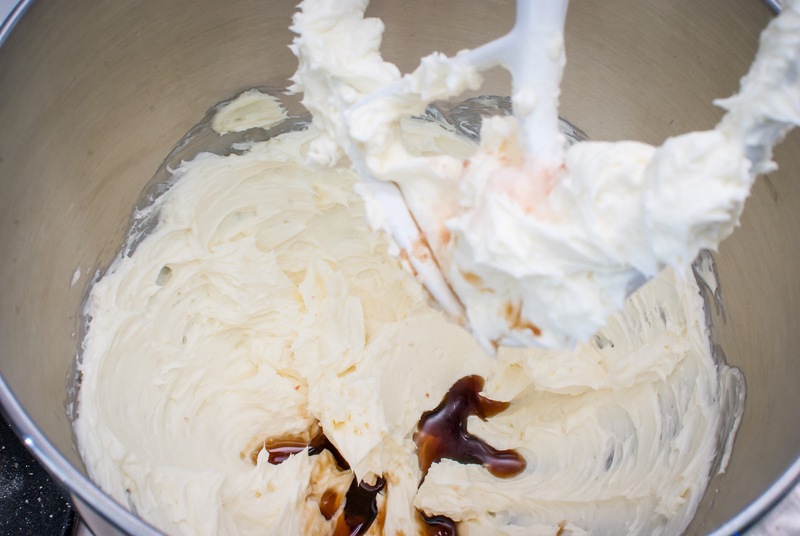 Cream Cheese Frosting is my favorite frosting of all time. I think I was in high school when my friend made me some birthday cupcakes with cream cheese frosting, and I've been hooked ever since! 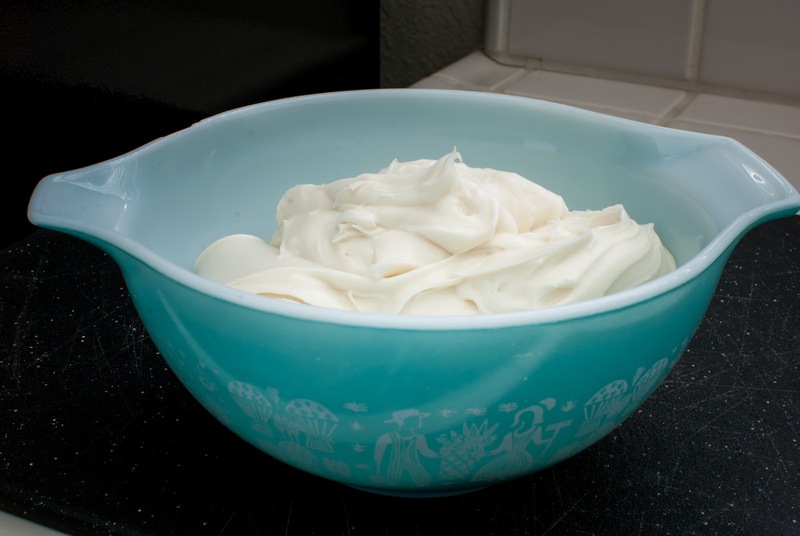 Over the years (because high school was a very long time ago), I've perfected my Cream Cheese Frosting recipe to exactly how I like it. 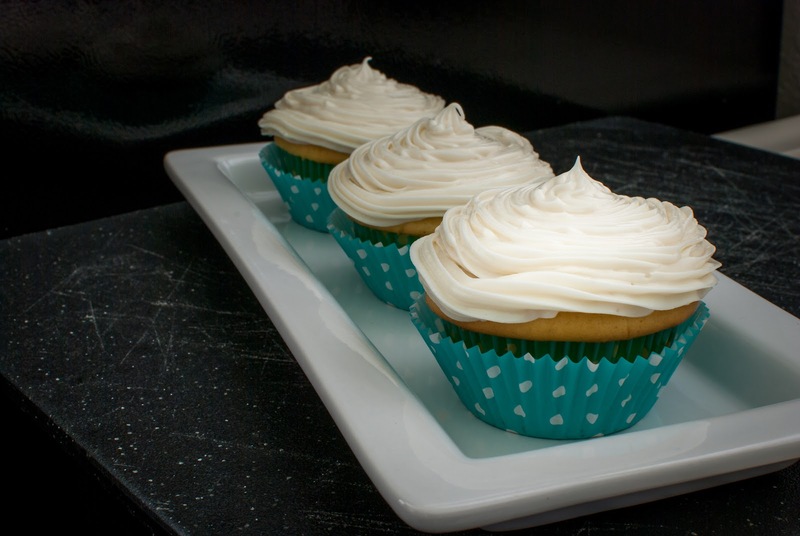 In my opinion, the perfect Cream Cheese Frosting is creamy in texture, no lumps, and has a nice rounded undertone of vanilla. It shouldn’t be too sweet, but it also shouldn't taste like it belongs on a bagel instead of a cupcake. Piping the frosting on is the easiest and fastest way I've found to frost cupcakes, so the frosting needs to be firm enough to hold its shape so it doesn't melt into a big glob of cream cheese. 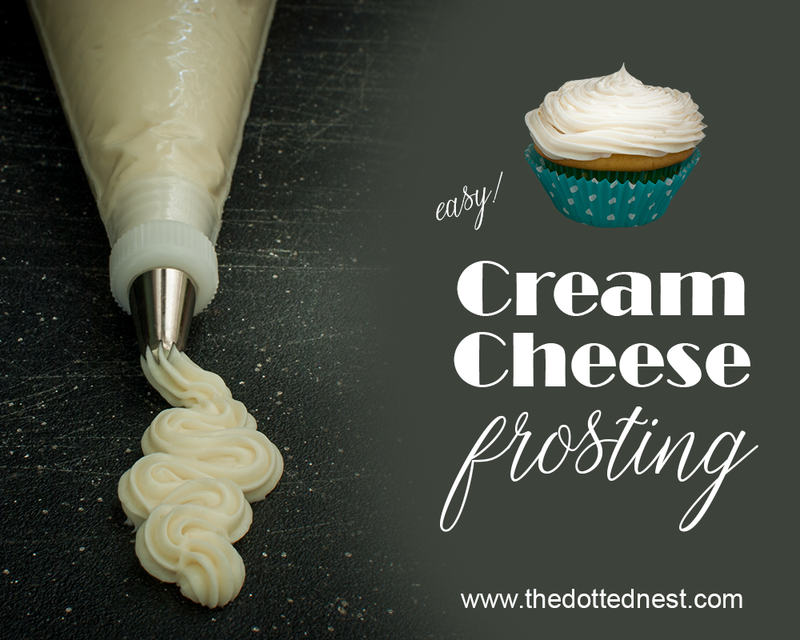 Cream Cheese Frosting - the only one you’ll ever want on your cupcake! 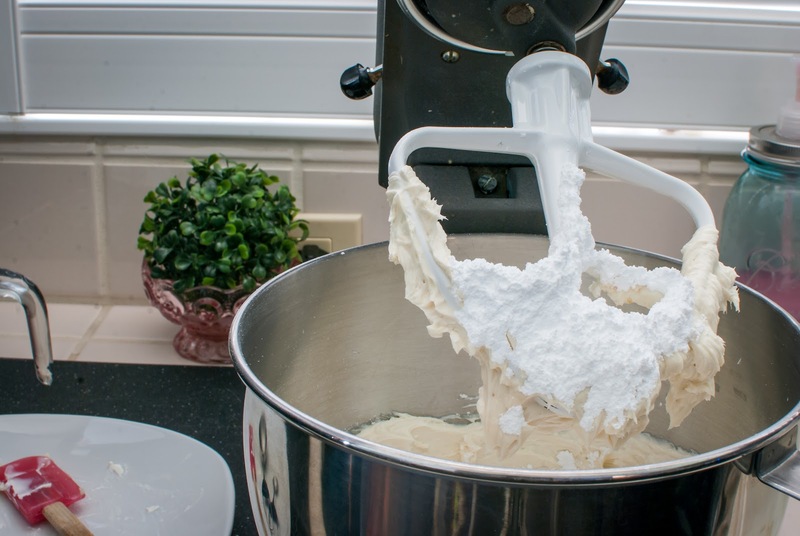 If you have a stand mixer you can whip up the Cream Cheese Frosting in no time. But don't worry! If you only have a hand mixer, that will work just as well. The first thing you'll want to do is set out your cream cheese and butter so they are room temperature. If it's a warm summer day, don't let them get too soft and squishy because you definitely don't want puddles of butter! 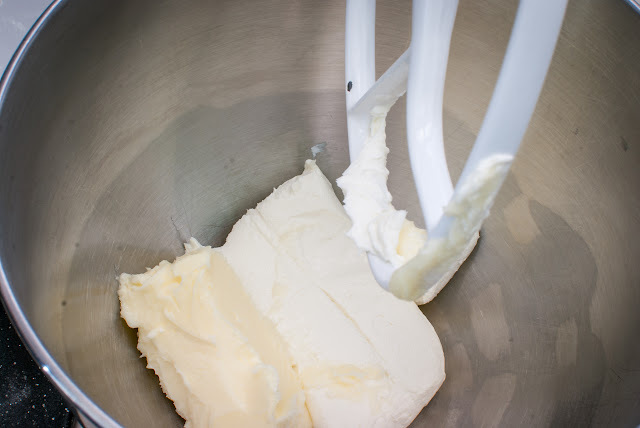 Mix your softened butter and cream cheese together, and add the vanilla and a pinch of salt. Blend it all together until it’s nice and creamy. Slowly add in powdered sugar a little at a time. 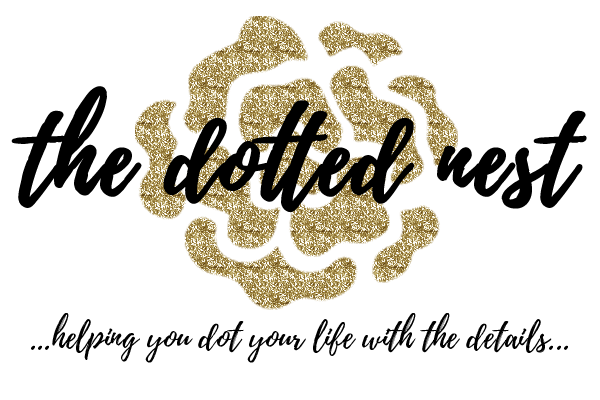 I always end up adding in a little more or even sometimes a little less. It really depends on how soft (or how cold) the butter and cream cheese are. 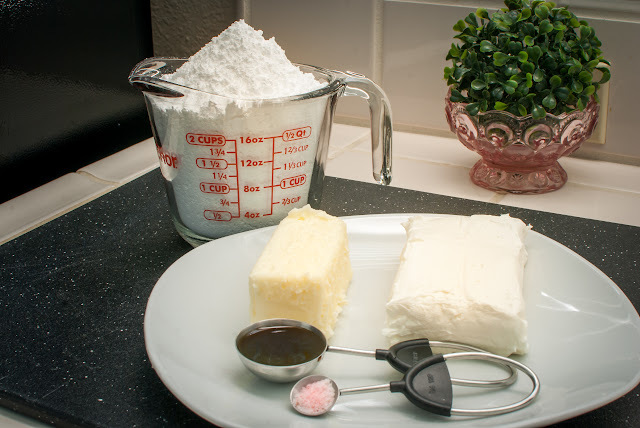 Keep in mind that if you add too much powdered sugar it will throw the taste and dull the cream cheese flavor, not to mention make the frosting too stiff. *Side note: If you add too much sugar at once, you’ll also end up with a huge cloud of powdered sugar all over you and the kitchen. Don’t ask me how I know, just don’t do it! Trust me! The goal is to have the frosting stiff enough to pipe on without it losing its shape, but not too stiff and not too dry. If you do happen to add too much of the powdered sugar you can save it with a tiny little bit of milk/heavy cream/half and half/almond milk...just add a Tablespoon at a time until it's back to a better consistency. Frost your cupcakes and eat them too! Actually, just grab a spoon and try not to eat it all before it’s on your cake! Thanks for stopping by, enjoy your frosting! If you enjoyed this recipe, you may also enjoy this one...you'll need an easy lunch to serve with those cupcakes!